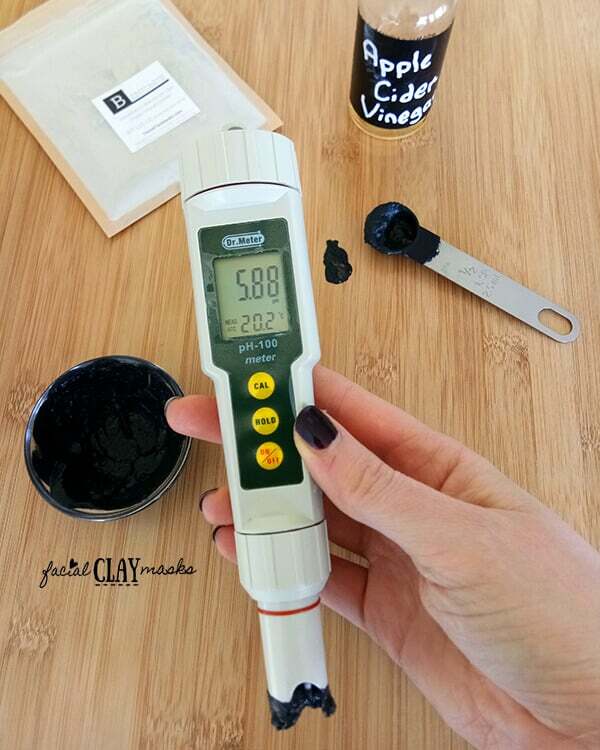 Activated charcoal and bentonite clay have an important attributes in common, they are both negatively charged. Most of my face mask recipes make wonderfully colored masks like right out of a spa. But not this one. Activated Charcoal is stark black, don’t worry, this does not stain your skin. 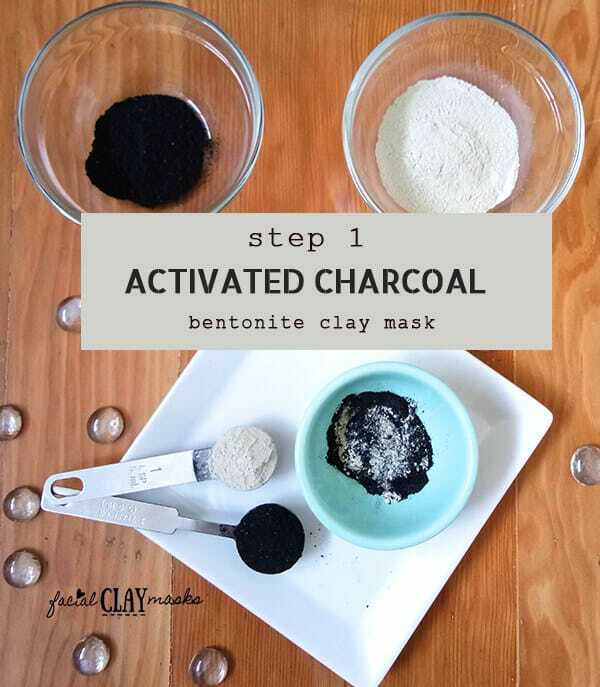 I love this face mask because the 2 main ingredients, bentonite clay and activated charcoal absorb toxins, chemicals and heavy metals from your skin. They both attract those nasty impurities like magnets. They also both swell to a much larger size when mixed with liquid. I’ll share with you why this mask instructions is the “right way”. I’ve looked at many of the activated charcoal recipes online. None of the recipes I have found take into account the PH of the face mask recipes. And it’s SO important you keep PH in mind when applying products to your face. Just like we should be keeping PH in mind to keep our body balanced through our diet. Keep reading and I’ll get into all the details below! I am all about using the raw ingredients for my skincare and face masks. If I can, I will avoid using products with nasty chemicals or harmful preservatives. Because I have learned so much about what the side effects of some of these products can do. That also means I stay away from products that are manufactured in countries that don’t have as strict of manufacturing guidelines as we do here in North America. Ahem, China. Did you know that the FDA regulates cosmetic labelling, but not the actual cosmetic ingredients or manufacturing process? There are some really great brands on Amazon that have great skin care products. But there are also a lot of brands on Amazon that simply re-label products from chinese manufacturers. I’ve seen this soooo much with activated charcoal. So stick to the raw products, and simply mix a clay mask up as you need. We source all our clay from France, Morroco and United States and package it here in Canada. 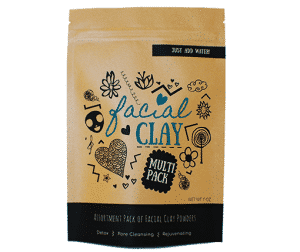 Our facial clay assortment pack has enough clay for this face mask recipe plus 24+ face mask applications. And it not only includes Bentonite, but also some of my favorite types of clay, Kaolin, Rhassoul and French Green Clay. What are the benefits of activated charcoal for your skin? Should you try the activated charcoal peel off mask? What is the “Right” way to do an Activated Charcoal Mask? 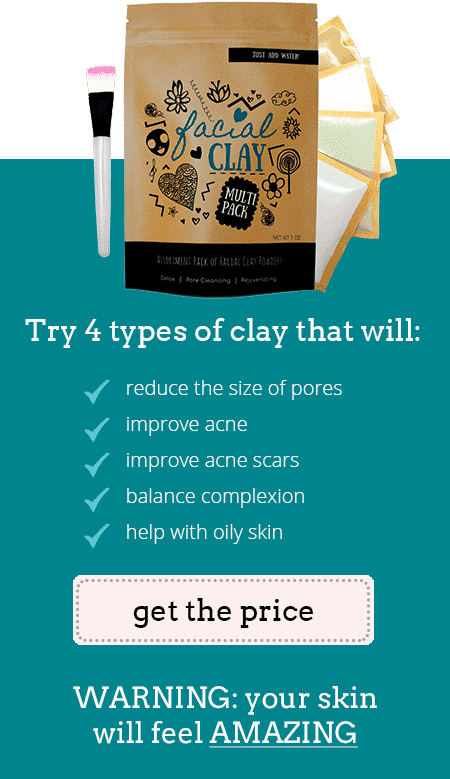 Clay does an pretty cool cation exchange to remove impurities from your skin (more info on how clay works here). Activated charcoal is said to also adsorb chemicals and heavy metals from your skin. But I’m the analytical type, so I like to know how they work. Keep reading for the benefits or click the link just above to skip to the ingredients. There is a LOT of information on the internet with claims for the benefits of activated charcoal. I don’t like to throw out claims that are not backed or linked to a study that demonstrates claims. 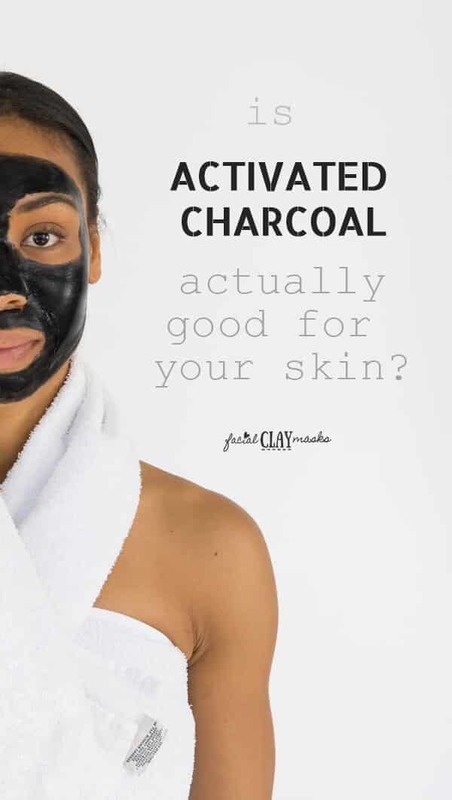 After doing a bunch of research, the biggest consensus I could find is that there are no studies conducted for the efficacy of activated charcoal in skincare. Activated Charcoal has come into the spotlight following it’s use for hundreds of years in hospitals as a detox treatment. So if you ingested large quantities of acetaminophen, or other dangerous poisons, you would be treated with activated charcoal. I really liked the potential scientific breakdown from lab muffin on activated charcoal. Remember, there’s a difference between absorbing and adsorbing. Taken from what we learned in how clay works. Absorb is when the the liquid is dissolved into. Adsorb is when the atoms, ions or molecules from a substance adhere to the surface of the adsorbent. The largely porous particle of activated charcoal adsorbs to some chemicals, drugs and pesticides. There is little research that indicates what chemicals the activated charcoal is effective on. But all this being said, activated charcoal has been deemed safe for topical and internal use. Please see your doctor for internal use guidelines. And if they do work as described, even without the proven studies, then hey there’s no harm in trying. To be honest, I have used activated charcoal by itself in a face mask and in clay face masks. I have noticed a positive difference after doing so. That’s based on personal experience, hence why it’s a featured recipe here. But this popular trend is not fueled by nothing, there are many people who are trying this in their skincare routine. The top 4 activated charcoal products on amazon have over a 4.5 star review. There are lot of products that come in the form of peel off activated charcoal mask. The activated charcoal by itself does not have the ability to peel off. Only the addition of a glue or gelatin like substance gives it that ability. There is no benefit to more pain, more gain. You should not cry when removing a mask. You also should not accidently remove a layer of skin when taking off a mask. Some of the reviews I have read for the activated charcoal peel off face masks reported both those side effects. And there were pictures to prove it where a dude actually removed a layer of his skin from his cheek taking this mask off. I also don’t recommend the DIY version of the activated charcoal masks. The recipes I found suggest using elmers glue. Yes that’s right glue. DIY recipes are amazing because of the fresh ingredients and avoiding chemicals. There’s no way it’s a good idea to put glue and the chemicals it contains on your skin. Just because it’s a fad online, please don’t do this one. The other peel off recipe I found was with gelatin and talked about how if it might be painful so go slow. Mask and me time, along with pain don’t go well. Will activated charcoal stain your skin? Activated charcoal will not stain your skin, but it definitely can stain your clothes or countertop. Just make sure when you this face mask you don’t let it sit on the surface of your countertop or sink. 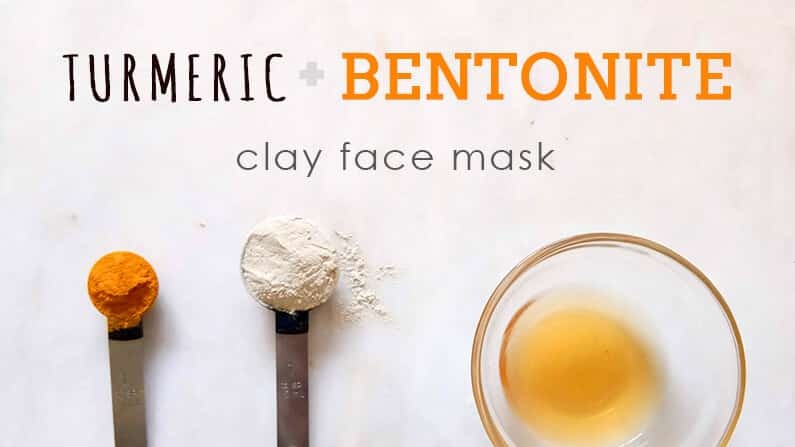 Acne, acne scars, balancing complexion, reduce excess oil are just a few of my favorite benefits of Bentonite Clay. Clay is the foundation for every recipe we have on our website. Without it, I firmly believe I wouldn’t see the same benefits from the face mask recipes. I have tested this by seeing benefits from honey, avocado or activated charcoal face masks by themselves. But I have seen way more results from just using clay alone. So combining other beneficial ingredients with my favorite clays can only be a good thing. Clay doesn’t just claim to have a benefit, there’s a whole boatload of science that delves into how clay works. 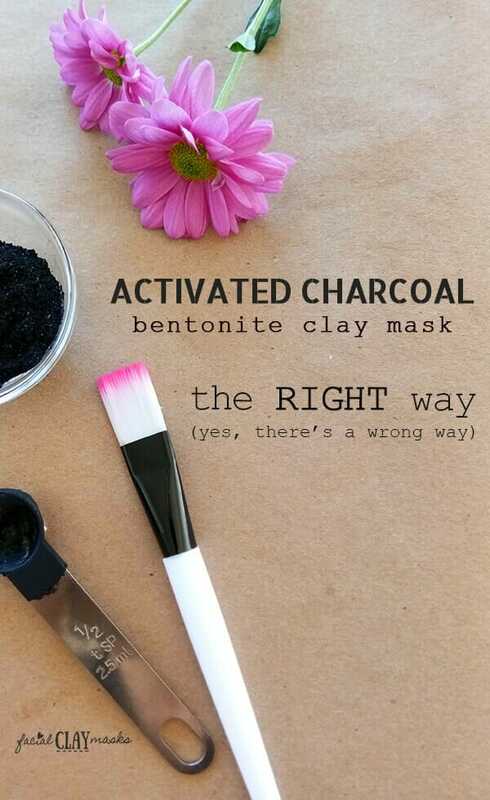 How is the “RIGHT” way to do an activated charcoal clay face mask? It’s common to see a lot of beauty blogs posting a face mask recipe, using only stock photos and a recipe sourced from another website. Completely untested for themselves. It’s also pretty common to see face mask recipes that could be considered unsafe for your skin. What makes a face mask unsafe for your skin? The PH levels of course! Your skin has an ideal natural PH balance of 5.5. A skin with a balanced PH often has a wonderful glowing complexion. It’s difficult to actually test the PH of your skin. If you have oily skin, this is an indication of slightly acidic skin below 5.5. If your skin is too dry this can be an indication of slightly alkaline above 5.5. 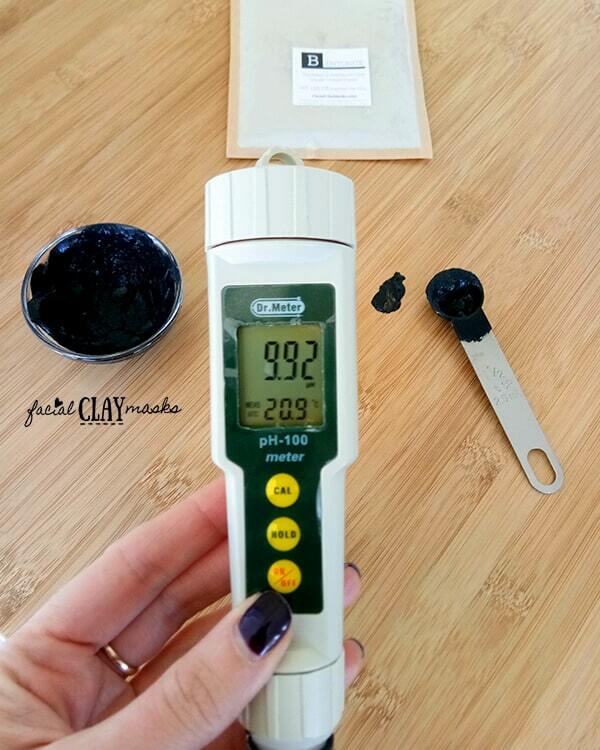 You can test the PH of the products that you apply to your skin with a PH strip or PH meter. Ideally your everyday skin products should be around a 5.5 PH. For face masks, a higher PH is ok and normal, but you don’t want to shock your skin with applying a face mask with a PH of 8 or higher. Yikes! So do the math on that, the PH of the face mask will average out to above an 8.0 PH. We tested this too and got 9.92. How should you correct this? Use apple cider vinegar instead! Apple cider vinegar has an approximate PH of 3.5 PH. So this MUCH lower acidic liquid creates a healthier balance of the face mask. We tested the same ratio but with apple cider vinegar instead and got 5.88 PH. In our Bentonite and Apple Cider Vinegar face mask, we normally recommend a 50% water and apple cider vinegar solution. Just because I find it to be quite potent with a 100% acv solution. And it can make my eyes water! In this face mask recipe, we used only apple cider vinegar. Due to the extra ingredient of the higher alkaline activated charcoal. Why aren’t we using baking soda in our recipe? A lot of recipes we found baking soda was often a popular ingredient combined with activated charcoal. Baking soda has been touted by many, including Dr. Oz for it’s acne fighting benefits. However this ingredient is also highly alkalizing with a PH of 9.0. Using a highly alkalized product does risk disrupting the skin’s acid mantle. This acid mantle is super important and acts as a barrier from viruses, bacteria and other harmful contaminants. So we decided to stick with just 2 of the highly alkalizing ingredients, bentonite and activated charcoal. However combining it with apple cider vinegar is required for this recipe. 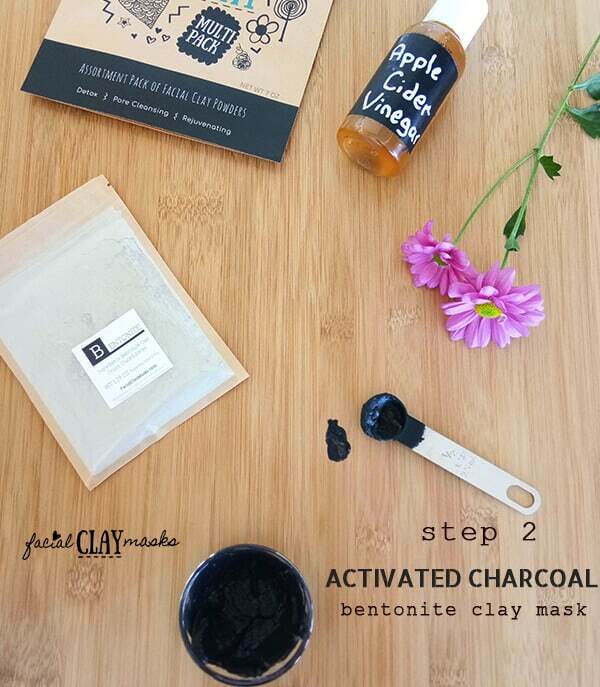 The ingredients for this acne banishing bentonite clay and activated charcoal mask are pretty simple. I would not recommend the cheap option of apple cider vinegar for use on your facial products. Much of the benefits of apple cider vinegar is contained in “the mother”. You can easily tell the difference, a filtered acv is clear while an acv with the mother like Bragg is murky. That murky sediment that often settles at the bottom is where all the good stuff is. It contains enzymes and proteins that are super good for you. Step 1: Mix the dry ingredients, activated charcoal and bentonite clay. Add the Bentonite Clay. Our facial clay assortment pack comes with 4 different types of clay, Bentonite Clay, Rhassoul Clay, French Green Clay and Kaolin Clay. Our Bentonite clay is very high quality cosmetic/therapeutic grade, sun dried calcium bentonite. Step 2: Add the apple cider vinegar to the dry mix of powders. Our calcium Bentonite clay is slightly green and mined from the Death Valley Desert, sun dried and milled to a super fine 325 mesh powder. We don’t add any fillers so not as much liquid is required vs an industrial grade bentonite clay. Start with 1 tsp of apple cider vinegar and add more as required to make a paste. Step 3: Add 1 drop of lavender essential oil to the paste and mix. With essential oils, more is not better. They are very concentrated oils that should always be less than 2% of your mix. That’s why only 1 drop is required in this recipe. That’s it! 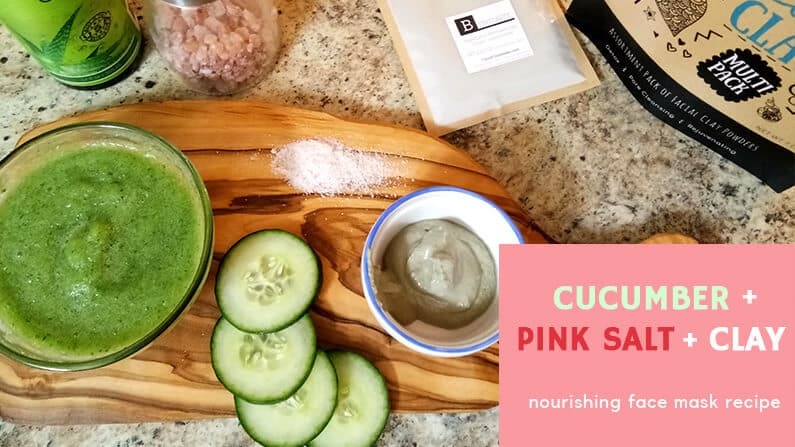 Mixing your clay masks at home is super simple, takes less than 3 minutes to mix up and you know that you are only applying the raw ingredients to your skin. There no nasty preservatives or chemicals in your mix. Did you know? An EWG study revealed that on average a woman will apply 12 different cosmetic formulas to their skin per day containing a cocktail of up to 168 different chemicals. We created a very hand guide for how to use a dry clay mask that has very detailed instructions. The simple version of this is wash, apply, do not let dry and remove. Always make sure to cleanse your face before face mask application. Using your face mask application brush, apply this mask liberally to your skin and upper neck. Approx 1/8″ of an inch thick. Remove the mask from your skin BEFORE it dries, which is normally for around 10 minutes. Leaving it on until it gets all cracked and dry can remove natural oils from your skin. My skin is always super smooth after any of my favorite bentonite clay masks. This one is no exception. And it helped stop some acne that I could feel coming up, right in its tracks. Booyah!